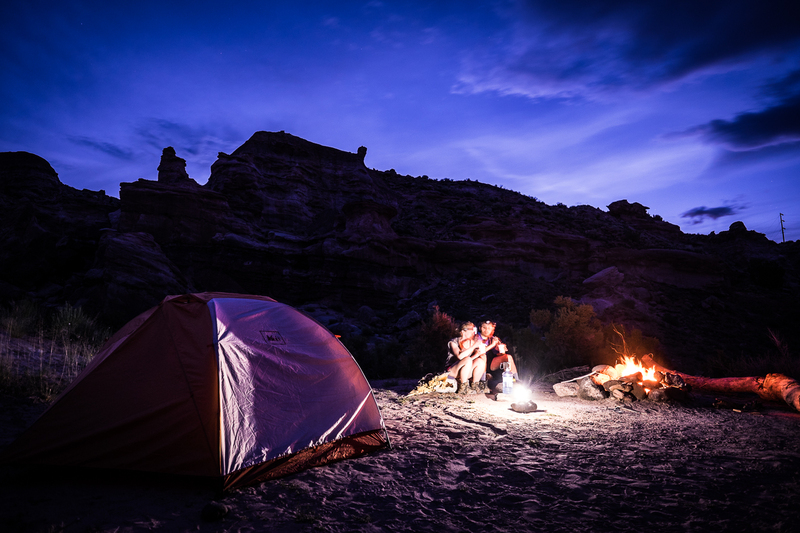 We’ve tried TONS of camping gear over the years, and below you’ll find a concise collection of our favorites — only the tried-and-true gear that consistently provides us a restful sleep in the great outdoors. 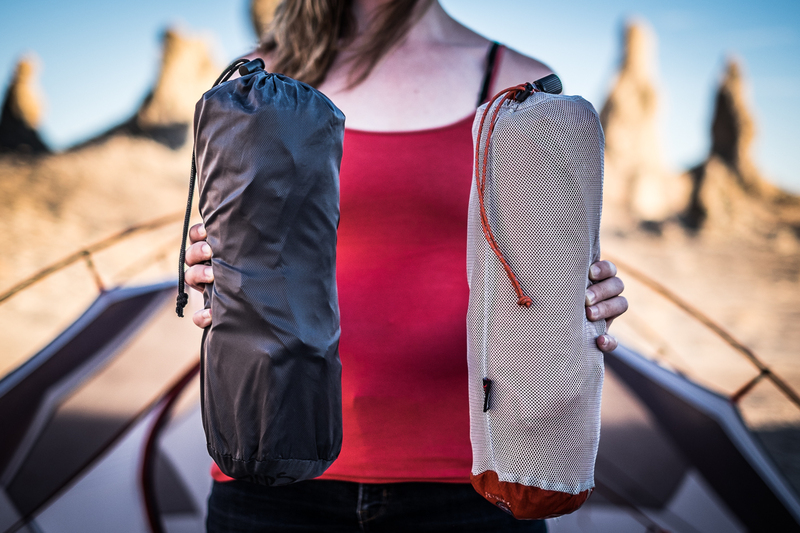 Others We’ve Tried: We first attempted to go ultralight (and ultra expensive) with the Big Agnes Fly Creek UL2. Once the zippers started failing less than a year after purchase, though, it was back to REI with it. 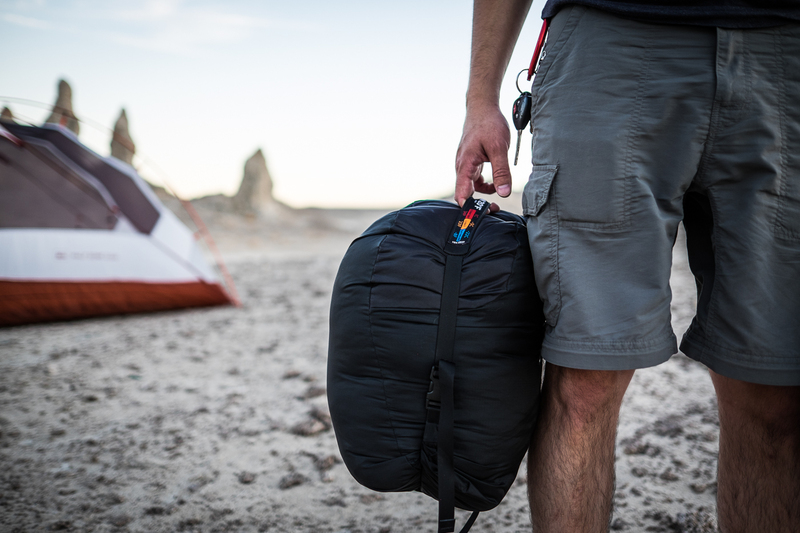 Though it’s super lightweight (less than 2 lbs) and great for backpacking, there wasn’t room to do anything other than sleep inside. Needless to say, we weren’t sorry to see it go. 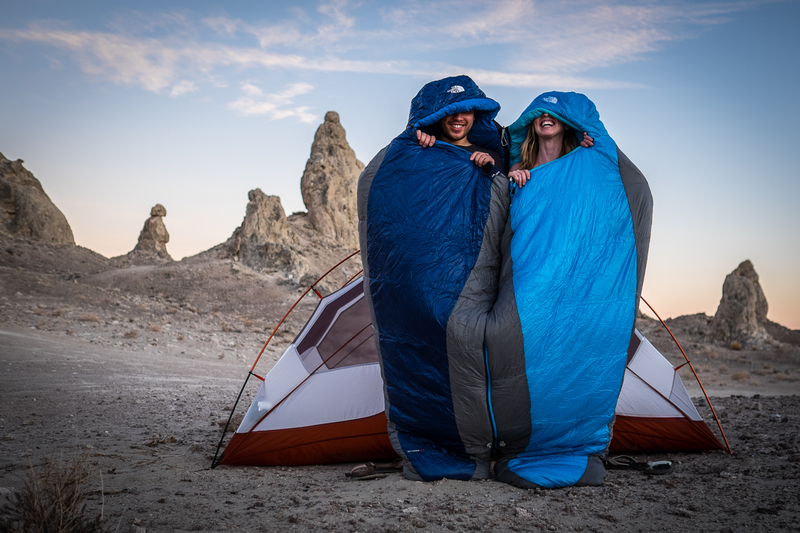 (Note: Big Agnes has since come out with a new model that actually has room for both campers to sit up at the same time inside – a vast improvement in space, though it weighs almost a pound more.) When we were ready for a replacement tent, we were eager to take a little extra weight in exchange for some extra space. Why This Tent? Our REI Half Dome 2 Plus weighs 5 lbs, 12 oz, which is not a problem considering we’ve been doing more traditional camping than backpacking lately. And now we each have our own entrance! 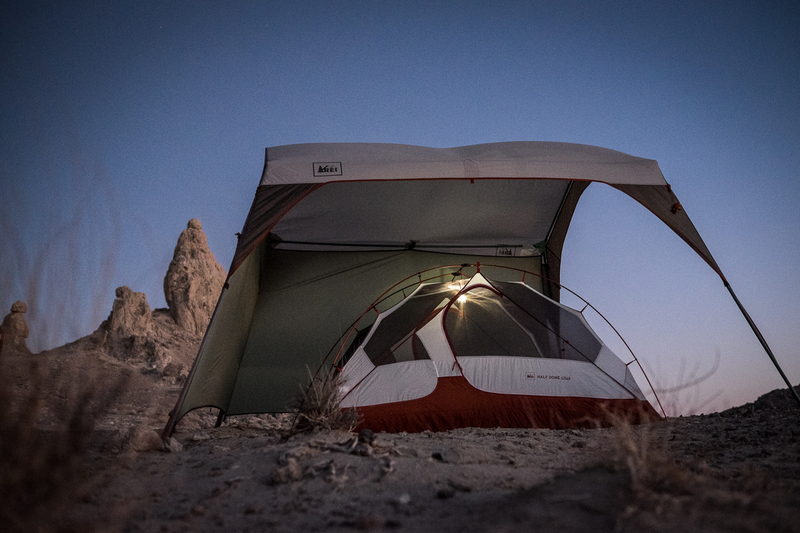 We’ve pitched our 3-season tent in the hot desert (sans rainfly) as well as up in the chilly mountains. The Half Dome 2 is very easy to assemble. With 2 people, we can have the tent together in 2 minutes, and the rainfly added in another 2. We opted for the Plus rather than the standard model so we’d have plenty of room for gear. And now we have plenty of space to bring our dog Tiger into the tent, too. 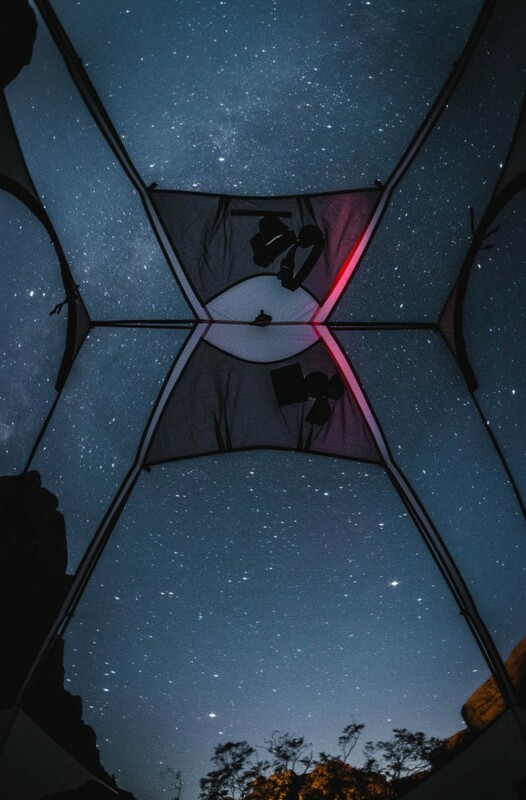 One of the best things about this tent? Pitched without the rainfly, the stars can very well be the last thing you see before closing your eyes. 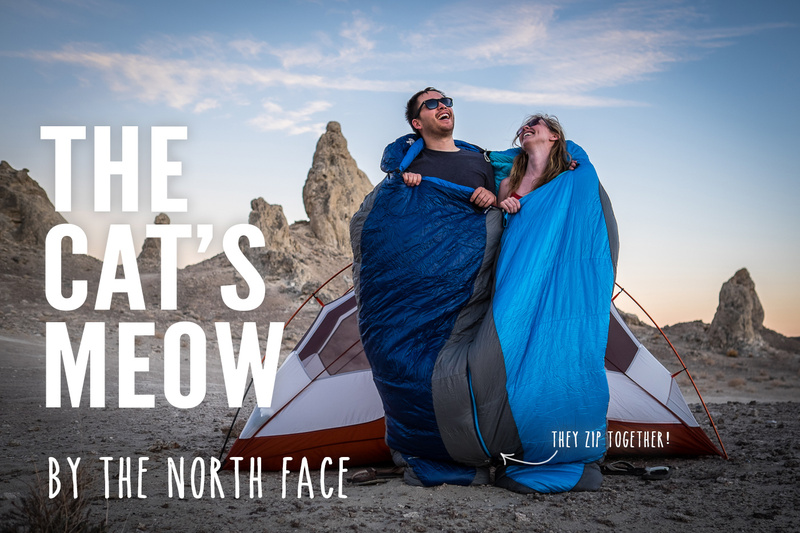 Others We’ve Tried: Over the past few years, we’ve tried a variety of sleeping pads, including the self-inflating REI Camp Bed 3.5, the Big Agnes Q-Core Super Light, and the ALPS Mountaineering Sleeping Pad with a built-in pump. While there are clear advantages and disadvantages to each, the winner for us was the ALPS. To compare the three: They’re all honestly about the same for comfort (unless you’re sleeping straight on the pad, where you might prefer the REI because of the material). 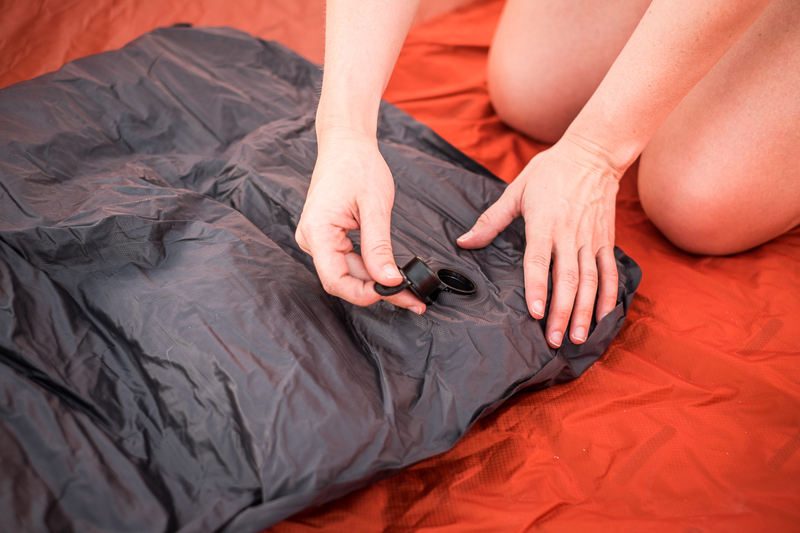 We tried the self-inflating REI pads first, but ultimately decided they were too big to pack. Then we moved on to Big Agnes, but we quickly get tired — and a bit dizzy — blowing them up by mouth. As soon as one of the Big Agnes pads had a leak, we decided to try a compromise. I do have one complaint about the ALPS pad, and that is that I’ve experienced the pump getting blocked internally a couple of times. But I’ve found that if you simply keep a little air in the pump chamber when you’re rolling it up in the morning, this prevents the air passage from getting blocked. 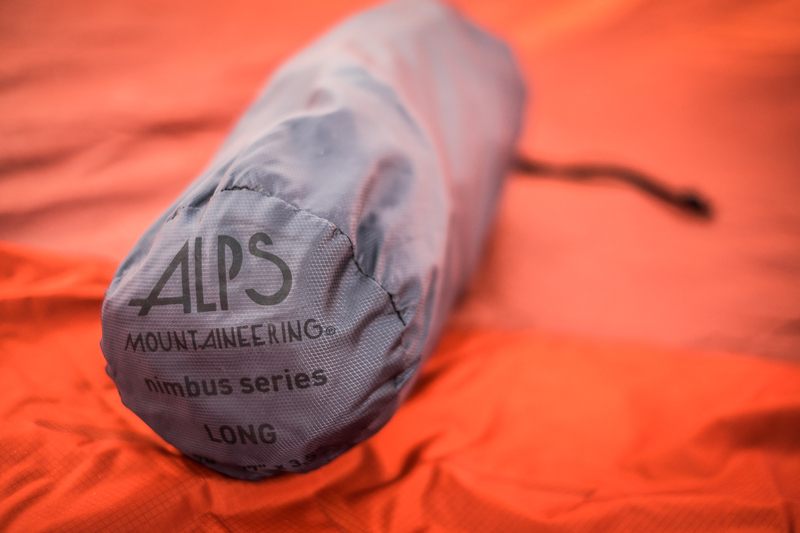 UPDATE 5/18/15: My ALPS Mountaineering sleeping pad just developed a slow leak that we were unable to locate, while on our summer 2015 road trip. I took it back to REI (no problems returning), and got a Big Agnes Air Core pad instead — the wide one, which fits well into the same space the ALPS one took up in our tent before. Others We’ve Tried: Ian and I are both allergic to down, something we discovered after several miserable mornings after sleeping in Kelty Cosmic Down bags. So after this epiphany, we went to REI to see if Kelty offered a synthetic version. No such luck. So what did we do? 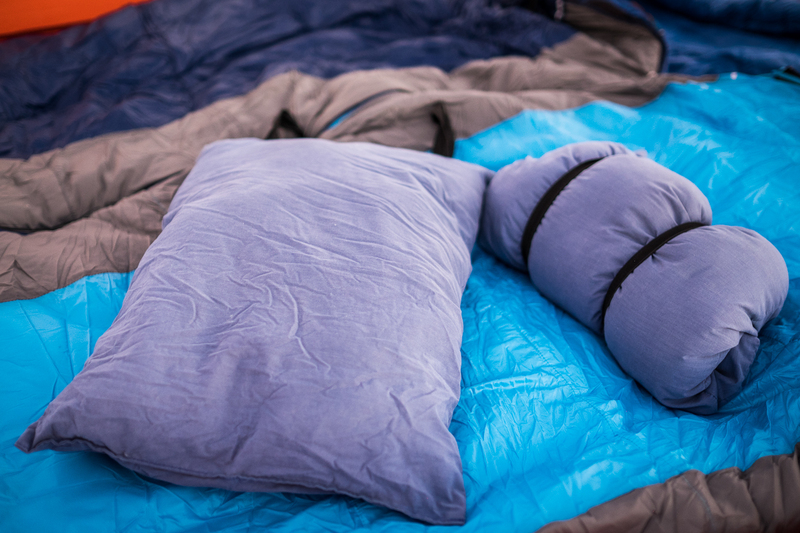 We spent the next two hours checking out every single synthetic sleeping bag REI had in stock. Now, in actuality, when it’s really cold you probably won’t want to attach the two. Too much cold air gets in. 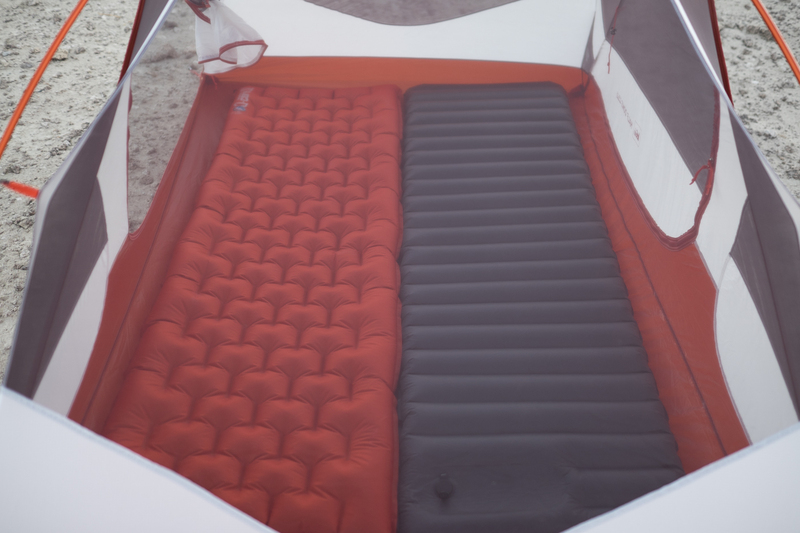 But for more moderate temperatures, the Cat’s Meow is great for nights when you want to cuddle up under the stars. Others We’ve Tried: Inflatable pillows are great for planes. But for camping, I’m not a fan. 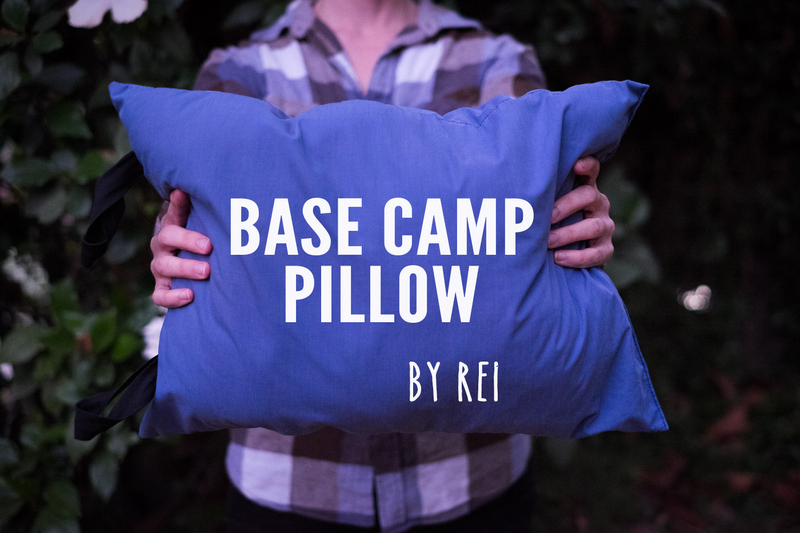 We ditched our glorified air-pockets (aka the Cocoon Ultralight AirCore Pillow) for the simple (and cheap) REI Base Camp Pillow. The Cocoon was tiny and great for backpacking. I will give it that. But no matter how much I tried to get my head comfortable on this air balloon, it just wouldn’t happen. Why This Pillow? I needed to find a down-free, reasonably compact, comfy camping pillow. The Base Camp met all the criteria: much more comfortable, rolls up to about half its size, and no allergy problems there. And it’s only $12. Sold. Above: The Base Camp can be rolled and secured with its elastic bands for storage and transport. 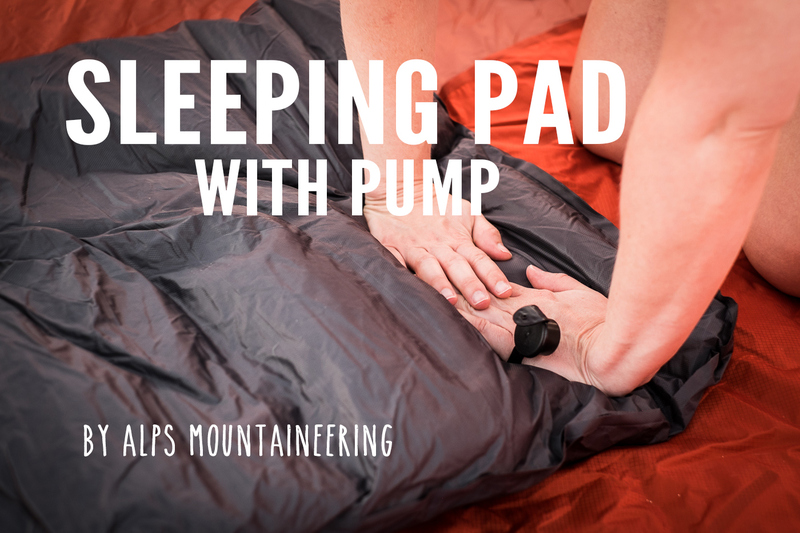 Note: I’m a pillow hugger, so if we’re camping rather than backpacking I’ll usually bring our super comfy memory foam contour pillow along, too. But the Base Camp is my favorite camping pillow for packing light. It fits nicely into the head compartment of the Cat’s Meow, too. Almost every time we go camping, we stay up late. 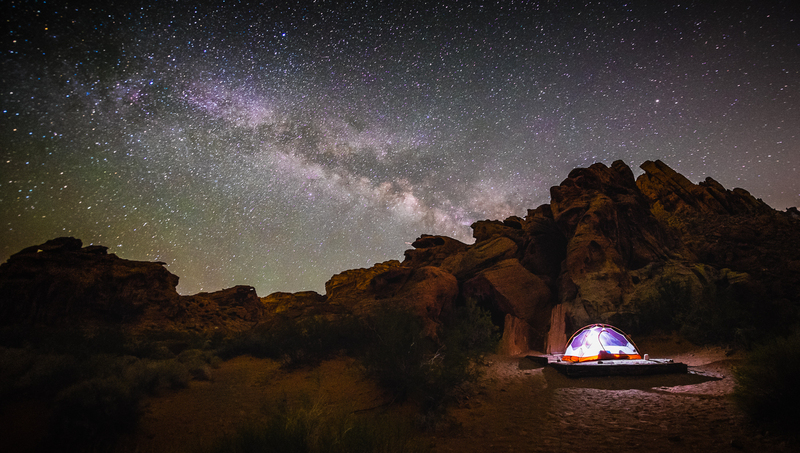 Whether it’s shooting photos or roasting marshmallows that’s keeping us up, we’re always hoping to be able to sleep past sunrise. 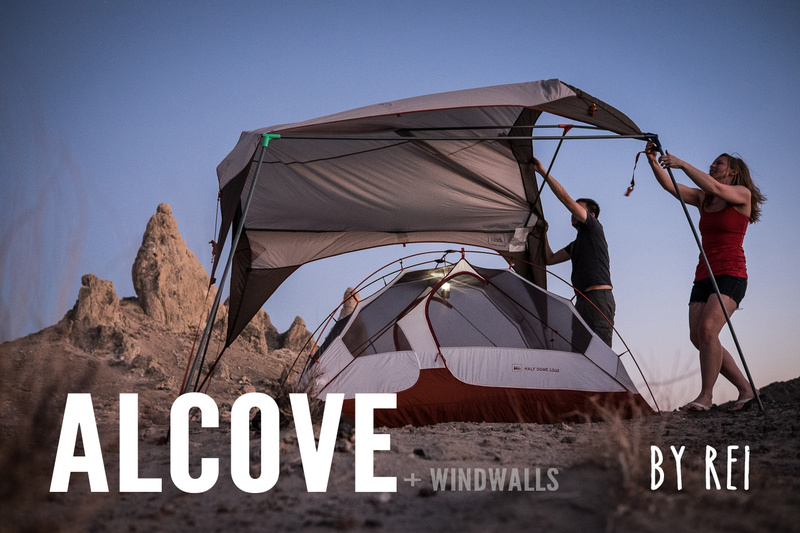 Since our tent gets toasty once the sun’s shining on it, setting up the REI Alcove Shelter with Windwalls overhead keeps the tent at a reasonable temperature well into the morning. The alcove has also come in handy for blocking the afternoon sun while preparing dinner, and the windwalls will help if you’re preparing food on a windy day. 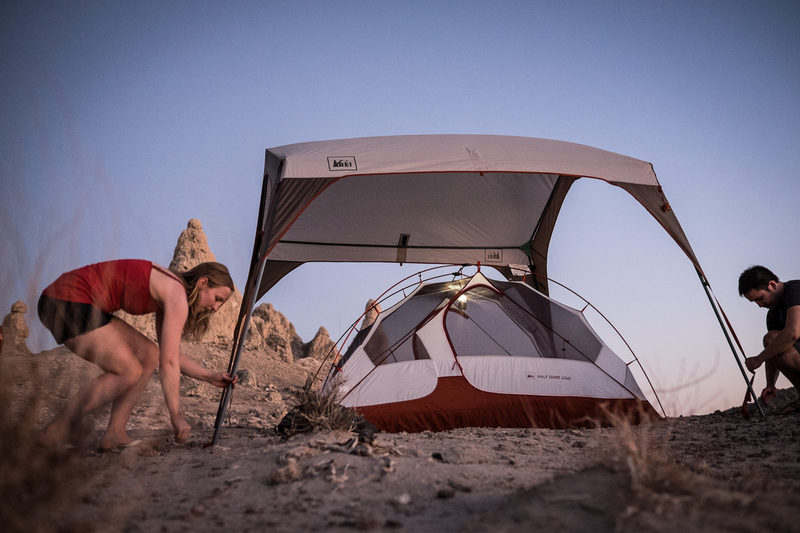 Others We’ve Tried: Though we have experience using your standard E-Z Up Canopy, we never really considered purchasing a sun shelter for camping until we saw how compact the packaged Alcove was. I will admit it: the E-Z Up is much easier to assemble. But it’s also arguably more difficult and time-consuming to disassemble (it can be a bit tricky getting it back in its case). It’s also heavier and probably takes up at least twice the space all packed up. Since sometimes these things are the only reason I get any sleep on a camping trip, I couldn’t leave ear plugs out. Pack these, too, if noises can keep you up at night. Thanks for reading, and have fun camping! P.S. – Some of the links above are affiliate links.